Click... click... Hi... I'm your favorite... Mousy, the mouse. Have you ever wondered how it feels for being clicked through ones life... kidding! Its my life and I'm born to be clicked..! Let me give me a brief intro about myself. I'm an optical mouse with USB2.0 interface and born in a company called "Logitech" at a Hong Kong factory. I've got two click buttons and a scroll wheel. Today I turn two... thats right... its my b'day today so I thought of writing about my life. My ancestors used have a PS2 interface but with the advancement of technology even our race improved. USB rocks... I find so comfort... its beyond expression. Moreover, with jet speed computing my life is becoming easier but complex day by day. I enjoy being in safe hands of experienced users i.e. "who handle with care"! Why I feel so? Once my master was teaching something on the comp to his younger brother (who was just 5) and later gave the complete control to his brother. I can still feel the pain thinking of that moment. The kid... a brat... had no feelings for me and tapped my click buttons as if I was a tabla! The brat was trying to play some game and got so excited that he was almost on top of me... God saved me!! I enjoy the most when my master's parents use me! They handle me so gently... as if I'm a new born baby! Ummma..
As far as my master is concerned, I have a little complain.... he uses me scantily. He's very fond of my colleague... Mr Keyboard... He uses me rarely but he has his own style of using me in terms of his timing!!! Readers... what do you say...?? Should I consider Mr Mousy's request? Here you have added the good info for the students. Dry natural items are to a great degree incredibly profitable especially in the winter season. Direction gives us data about the significance of dry natural items. You are doing good job. For the autobiography of the computer mouse there is the better phase of your time. You can arrange the best meeting in this area. Just visit the page and get the direction with this field of the small world. Enjoy the really good time here. 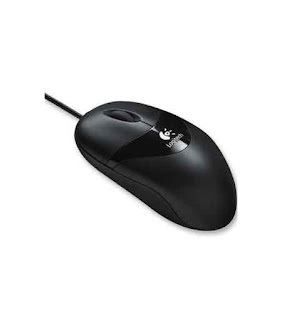 I have a logitec mouse I am using it since 2006. this is really pretty good. I am using this now. I read your biography it also good thanks to share it http://www.biographywritingservices.com/bio-writer-service-in-maryland/. I never thought that I would seen such kind of biography but this one is really interesting as it is kind of different than others. http://biosketch.net/ to check out more helpful guide and tips for writing your papers.